Glasgow Airport has been recognised for its focus on health, safety and accident prevention at a national awards ceremony. 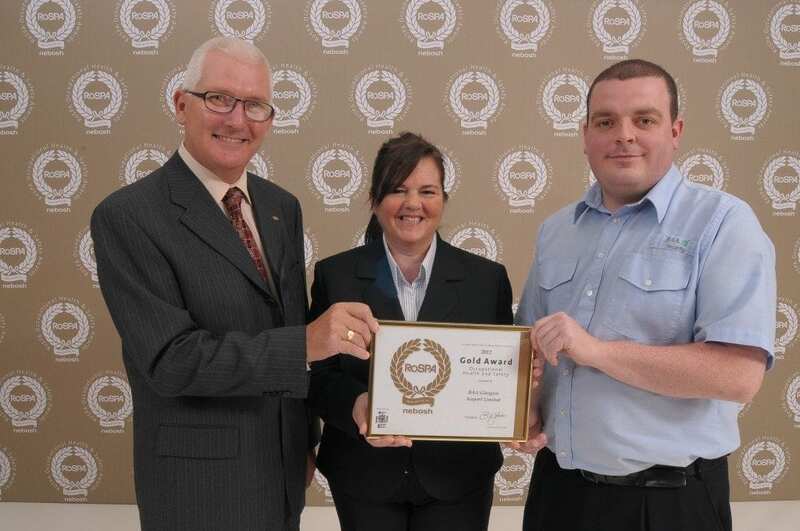 The airport received a Gold award from the Royal Society for the Prevention of Accidents (ROSPA) at the Occupational Health and Safety Awards 2012, which took place at Glasgow’s Hilton Hotel. The award reflects the airport’s comprehensive approach to health, safety and accident prevention, health improvement activity and the progress that has been made in recent years towards implementing a ‘safety first’ culture at all levels of the organisation. In order to be eligible for the award, Glasgow Airport had to provide a comprehensive overview of the measures now in place to ensure a safe workplace. These include the Behavioural Based Safety Group, Managing Responsibly programme, Safety Bingo, Senior Manager Safety Tours and Healthy Working Lives initiatives. David Rawlins, awards manager at the Royal Society for the Prevention of Accidents (RoSPA), added: “The RoSPA Awards programme provides well-deserved recognition for the winners and spurs on other organisations to raise their standards of accident and ill health prevention. The RoSPA Occupational Health and Safety Awards scheme is the largest and longest-running programme of its kind in the UK, dating back to 1956. It recognises commitment to accident and ill health prevention and is open to businesses and organisations of all types and sizes from across the UK and overseas.